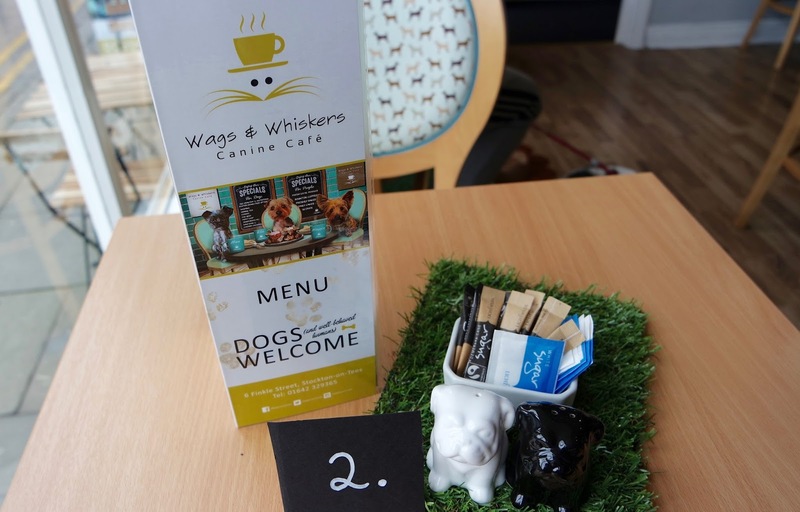 Take the dog for a cuppa at Wags and Whiskers | gingerbread smiles. I don't actually have any pets, although I did grow up with them. We had dogs, cats, fish, birds, lizards, rabbits and guinea pigs. At its peak, our house was described as a zoo! Now I've moved out and Mum has the house to herself she has two dogs, two cats and is also looking after my sister's dog. It's always nice to pop round and see the animals as I can't see myself getting any of my own anytime soon. I get all the nice aspects of the dogs without having the bad bits! 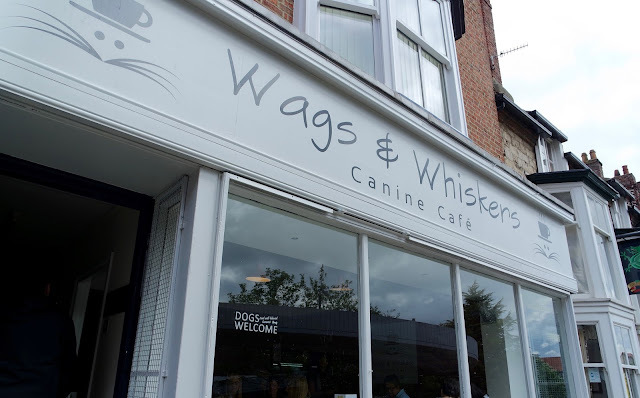 Recently the pet shop that Mum frequents, Wags and Whiskers, opened a new cafe. The cafe is special in that it not only allows dogs, it welcomes them, offering a dog-only section of the menu. 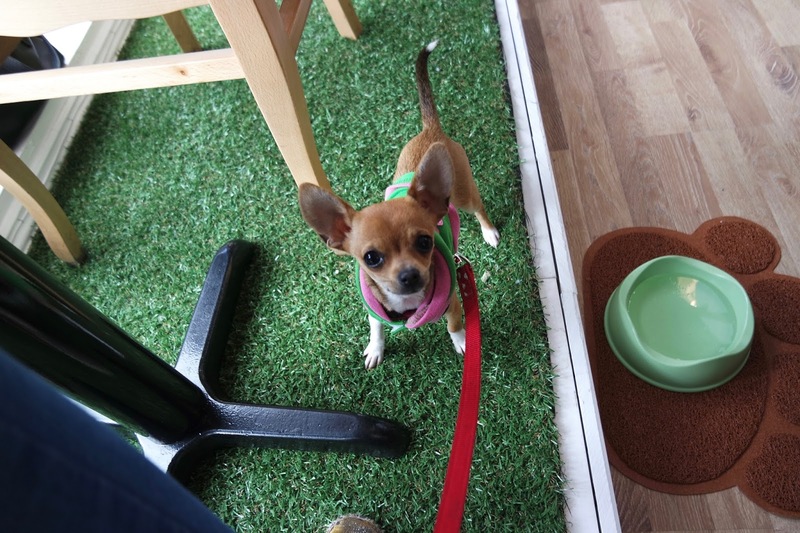 On Saturday we popped along with Mum's chihuahua Peggy to see what it had to offer. We arrived about 10.30am hungry for some much needed breakfast. 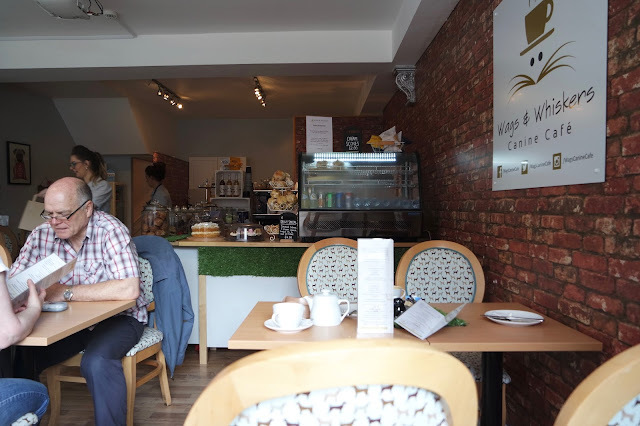 The cafe is located in Stockton, down Finkle Street, a popular little patch for small hearty cafes. When we arrived there were many wet noses and waggy tails enjoying their grub, eager to greet us. The cafe was bright, airy and very clean. Dog bowls were dotted across the floor to cater for customer's furry friends. We got a seat and had a pursue at the menu whilst Peggy became acquainted with the other dogs visiting the canine cafe. I was really in the mood for some beans on toast so was a little disappointed to see no beans on the menu. 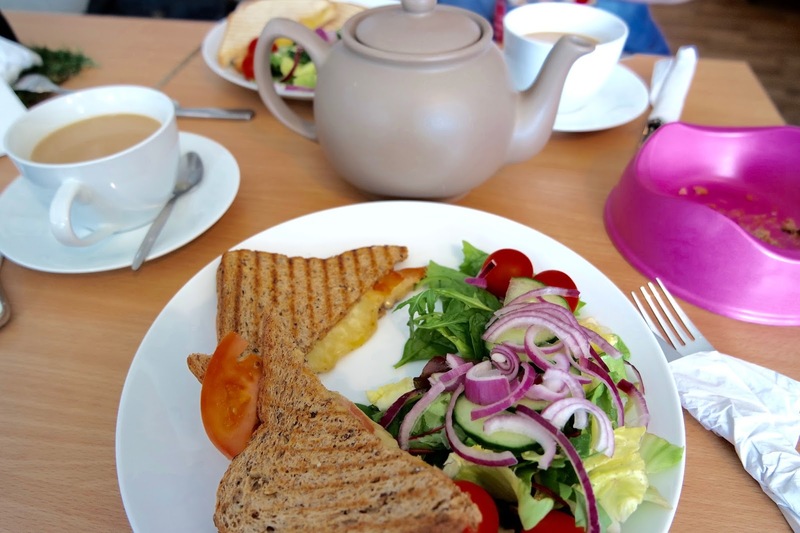 Despite my initial disappointment I settled for a cheese and tomato toastie with a pot of good ol' Yorkshire Tea. 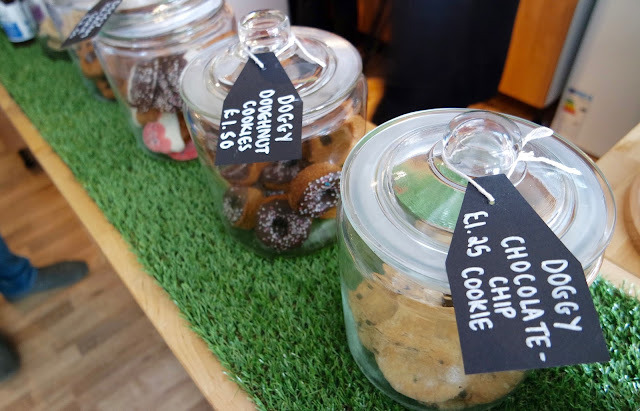 Peggy had a bit of choice on her menu with a selection of treats including doggy beer, pupcakes and cookies. 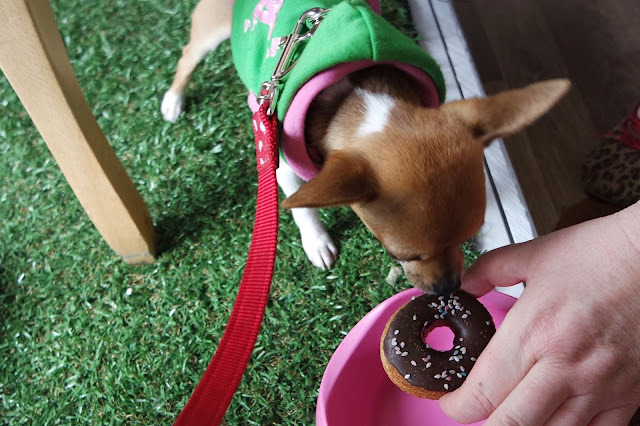 Once she'd quelled her initial excitement she finally decided on a doggy doughnut. Although a bit tough to get into, once Mum cut it up for her she was thoroughly enjoying it. Our toasties came and they were lovely, just what we needed. This cafe is such a lovely addition to Stockton bringing together lots of dog lovers and their four legged friends. 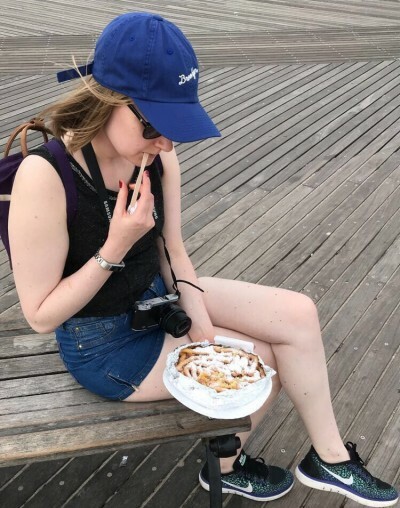 It's such a lovely environment will all the other customers. 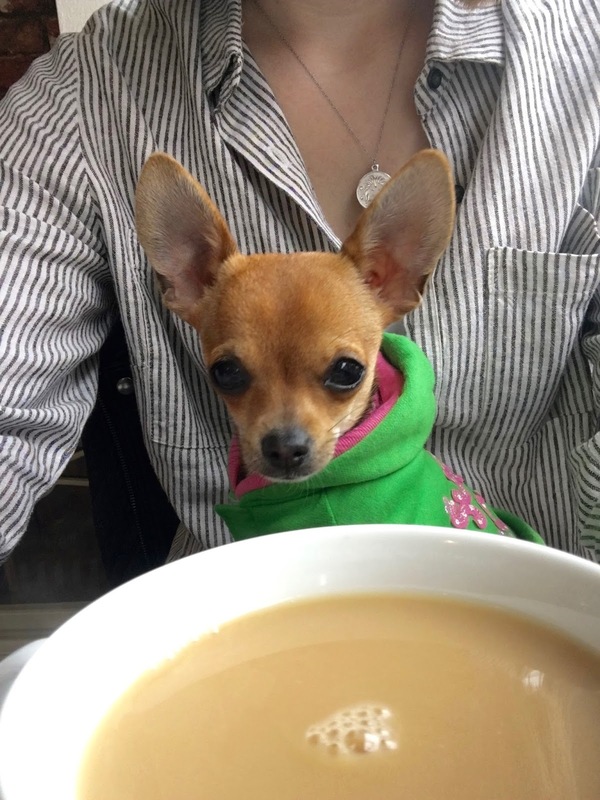 You definitely can't come in for a quiet brew with your pup as everyone wants to see everyone else's dogs. This is great though as it is so different from other places where everyone would be silent, on their phones or unresponsive to other diners. Even if you don't have a dog, but love them, you can come down have a scone and a cup of tea and be surrounded by other people's dogs! Wow this place looks fantastic!